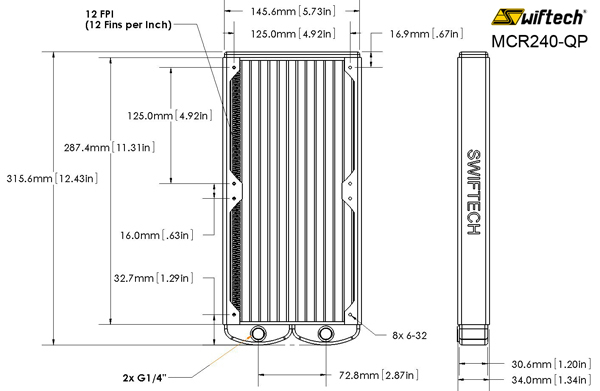 The MCRx40-QP (Quiet Power™) series radiators are heavy-duty, low-noise optimized, liquid-to-air heat exchangers designed to be used with 140mm fans and specifically engineered for high-end liquid cooled Personal Computers. First introduced in 2005, the Quiet Power™ technology is the result of months of research and development focused on optimizing thermal performance and audible noise characteristics with low to medium airflow types of fans. To this day, the Quiet Power radiators have set a standard for others to follow, and meet today's PC industry highest thermal loads, quality standards, and low noise requirements at competitive prices. For a good noise to performance ratio we recommend using the MCRx40 series radiators with fans rated in the 1500 RPM range or below (higher RPM ranges may be used for louder results). Quality assurance: all our radiators are ultrasonically cleaned to remove solder flux, and individually pressure-tested for leaks! The single most common cause for leaks is puncture of the radiators channels. This typically occurs when users attempt to either drive screws thru the radiator, or utilize screws that are too long. 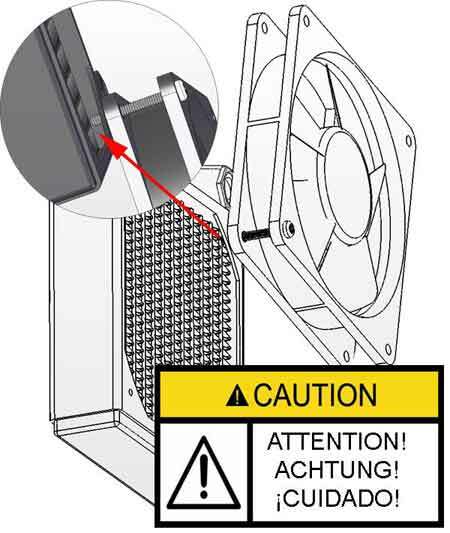 Users are advised that Swiftech® will decline warranty coverage for puncture of the radiator channels located directly behind the radiator mounting screw holes. Make sure the screws you are using do not hit the water channels! 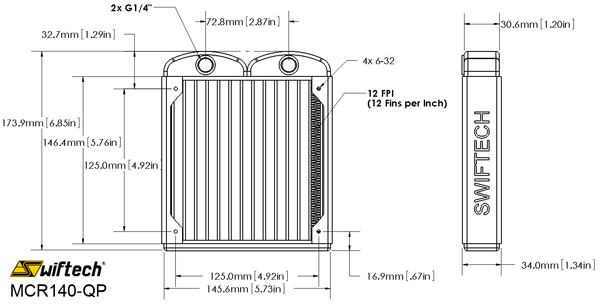 Depending on your configuration you might want to use your own screws either to attach the fan to the radiator, radiator to the chassis, or using a Radbox. You can use either 6-32 US thread or M3.5 metric thread. But always double-check the screw length before installation or you might poke a hole in the radiator water channels! 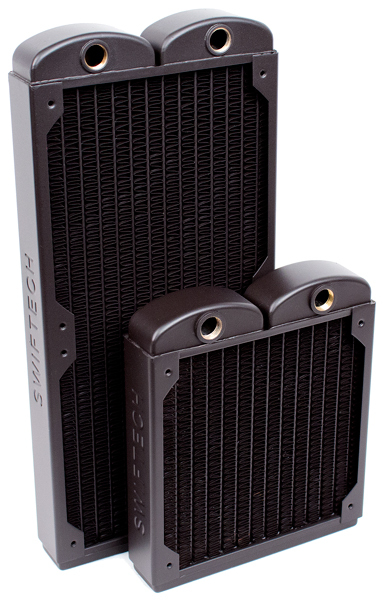 Dual and Triple 120mm heat exchangers with integrated pump, Black, including 1/2" fittings, and mounting screws. Great rad for additional cooling performance! I added this rad to my loop that includes an ultra thick 360mm rad, a cpu water block, a motherboard water block and two GTX 560 Ti water blocks. 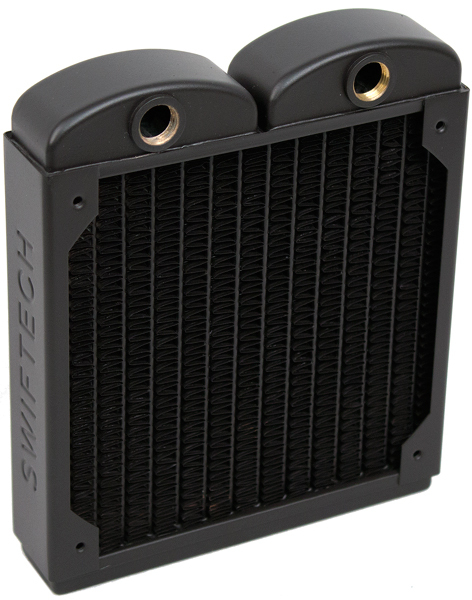 I'm using the Swiftech MCP-655 b along with an aftermarket reservoir/pump mod to push the coolant. This extra radiator brought my load temps down by about 3 to 5 degrees! Nothing in my system now gets 12 degrees above the ambient temperature.